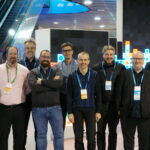 Jasper Bongertz attended Cisco Live Europe this year, and also got to attend some Tech Field Day Extra presentations at the event. Cisco focused some of their time on introducing the delegates to their IoT switches and routers. These are ruggedized to survive a life on the edge, run the IOS operating system, and can be controlled centrally from Cisco DNA center. This last point was key to Jasper, as these devices will likely be put in insecure locations, where locking down who can interact with the device is key. I Once Caught a Fish This Big!! Tech Field Day bon vivant Al Rasheed was at Cisco Live Europe this year, so naturally he was invited to be a delegate at the Tech Field Day Extra presentations being held at the same time. There he got to hear from Cisco about developments with IoT networking, and what the company is doing to protect this massively expanded threat surface. For Al, these kind of solutions are vital, but just as importance is to consider if the convenience of an IoT device is worth the security risks in the first place. Dominik Pickhardt was at Cisco Live Europe this year, where he was also a delegate for Tech Field Day Extra presentations at the event. During one of the sessions, he got a deep dive from Cisco on their policy offerings. This isn’t siloed to one product or service, but rather showed a consistent strategy across their entire portfolio. This allows for administrators to maintain scalable best practices as their infrastructure grows. Al Rasheed is back with another excellent write up from a Field Day presentation, this time focusing on what he saw from Forward Networks at Tech Field Day Extra at Cisco Live Europe this year. The intent-based networking company focused on their Forward Enterprise tier on the presentation, showing use cases for Application Team Self-Service and Change Window Assistance. Al was really impressed by how well prepared the presenters are, and agrees with Ivan Pepelnjak that the presentation was “awesome”. Orhan Ergun joined us at Tech Field Day Extra a Cisco Live Europe in Barcelona this year. At the event, he got to hear presentations from Cisco on their Cloud ACI release, as well as visiting booths from companies that presented at past Networking Field Day events. Just as important was the networking he did with the other Field Day delegates at the event, whether it was trading technical expertise, or simply sharing stories from the IT trenches. We’re looking forward to having Orhan at more events in 2019! Multicloud : The Buzzword We’ll Keep Hearing in 2019? Max Mortillaro breaks down the idea of multicloud. It’s a potent buzzword in IT, but who is actually doing it? He looks at some of the stated reasons organization investigate multicloud, the common paths to getting there, and the inevitable issues that arise from the reality of it. He was intrigued by what he heard from Cisco at Tech Field Day Extra at Cisco Live Europe, even if their presentation on Cisco CloudCenter took a while to tease out the really valuable aspects for IT professionals. It made him stop worrying (a bit) and embrace the possibilities of multicloud. Max Mortillaro attended his fourth Cisco Live Europe this year, and also got to hear presentation at Tech Field Day Extra at the event. All that time has proven Cisco’s commitment to HyperFlex, which received important updates at the event, including improvements from a security and usability perspective, certification of SAP HANA, one-click upgrades, NVMe and more. Max remains convinced that Cisco has a compelling story around HCI, but he still has some questions about the overall strategy. Al Rasheed has been to a few Field Day events stretching back into last year. For 2019, he’s very excited to see what’s on tap for Tech Field Day Extra at Cisco Live Europe. He’ll be joining what he calls the “Dream Team” of delegates for the event (we’ll leave it to Al to tell us which one is Christian Laettner). He continues to be amazed at how participating in Field Day events has opened new doors and opportunities. We’re just glad to have such an insightful and knowledgable delegate around the table. Cisco Live Europe kicks off this month, and we’ll be in Barcelona with Tech Field Day Extra presentations. Joining us around the table will be Kim Pedersen. It’ll be interesting to get a first time delegate’s experience at the event. Max Mortillaro will be attending Cisco Live Europe, and is looking forward to attending Tech Field Day Extra sessions at the event. In past years, he’s focused on Cisco Hyperflex, but this year he has a different focus. He’ll be looking to get more details on Cisco’s strategy this year, especially compared to some of the renewed competitors in their markets. Year in review posts are always a good time to take stock of accomplishments. Orhan Ergun took a look at 2018 and found he had a really busy year. For starters, he made the decision to open a company in Turkey. Other highlights included seeing students and friends pass their CCDE practical exam. In October, we were lucky to have Orhan attend Networking Field Day, where he got to hear from a variety of companies in the industry. We hope his 2019 is just as eventful!